◊ The posts are 3" x 3" x 48". ◊ If you select the "unfinished" option we will sand and prepare the wood, but not apply any stain or finish; this is a great option if you wish to customize the piece yourself. ◊ If you select the "clear finish" option we will apply an all-natural Clear Hard Wax Oil finish which will highlight the natural character of the wood. 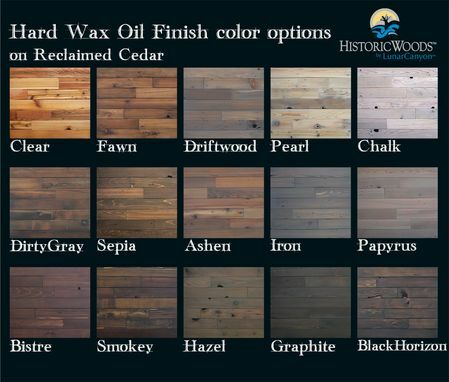 ◊ If you select one of the finish colors then we will apply the same Hard Wax Oil mixed with a natural pigment, which highlights the wood's character, and also creates a more uniform color tone.